A unique scratch finish gives this 14 karat white gold men's wedding band a distinct edge. 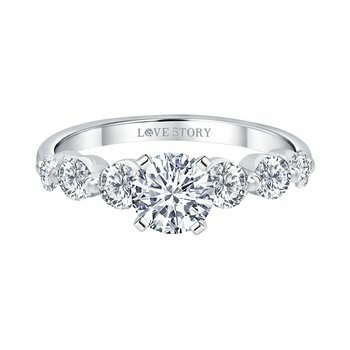 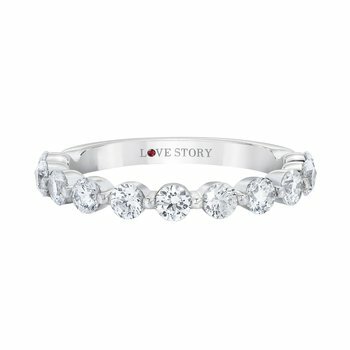 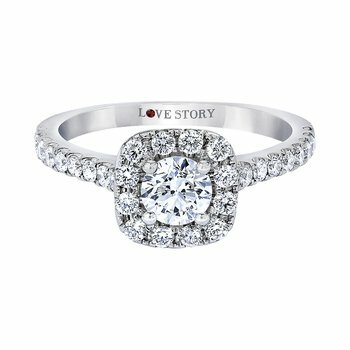 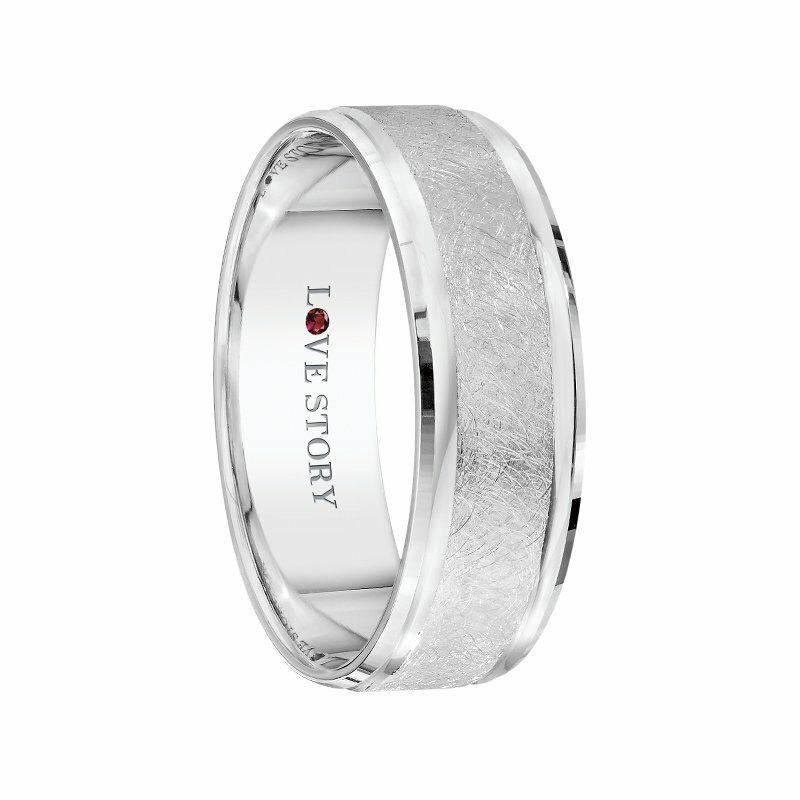 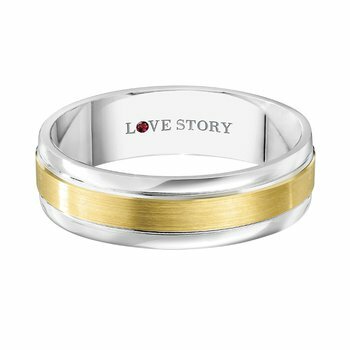 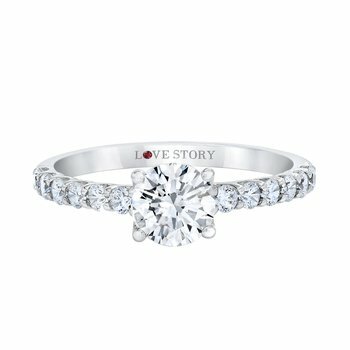 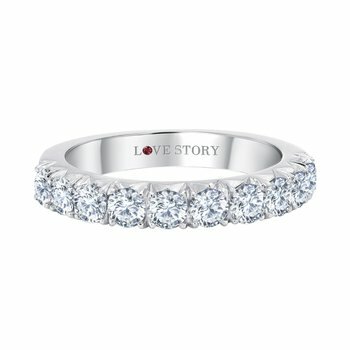 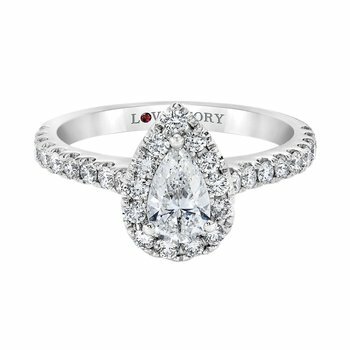 Yours from our Love Story® Collection. 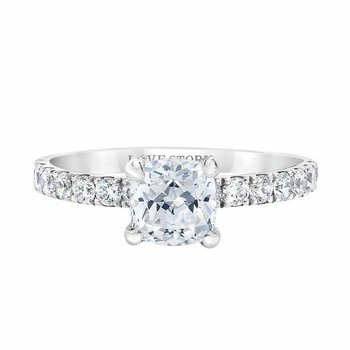 Today, there's no need to shop anywhere else! 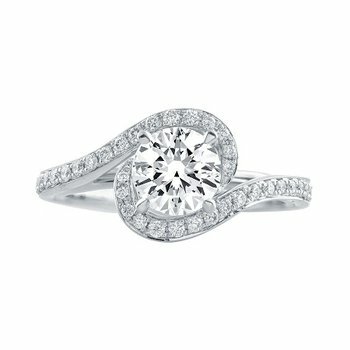 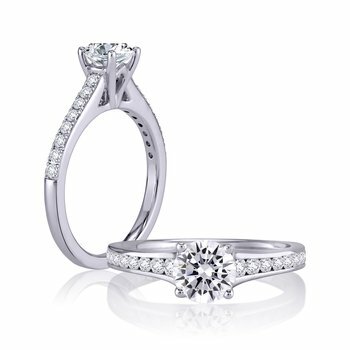 With the power of over 150 stores, Leading Jewelers Guild® brings the best in selection, great values and terrific services right in your own neighborhood.